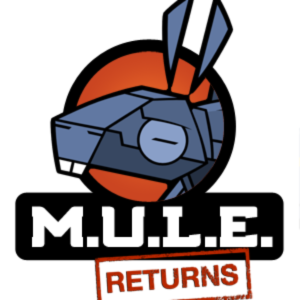 Speaking of M.U.L.E, any folks play on http://www.planetmule.com ? With this mini the keyboard with the case is non-functional, and you need a usb keyboard, right? Oh man, Autoduel! Haven’t thought about that game in a long time - is it even available anywhere for PC? I don’t see it on GOG or Steam, did it even get a PC release? It was released for DOS (although the ST and, I assume, Amiga versions are likely better). I don’t know why EA wouldn’t allow a GOG release, but, you know, EA. Offworld Trading Company drew inspiration from MULE as well. Archon was awesome, but any resemblance to chess, or any thoughtful board game, was trounced by the importance of frenetic arcade batting. The list has 5 or 6 gems, but yeah, EA and Microprose games would’ve taken this up a level. Not to mention maybe a big rpg like Ultima III. The C64 itself shoud work fine, but a common case is that its power supply has become faulty. It may actually fry the C64 upon turning it on. A C64 in OK condition can actually net a tidy sum on eBay these days. Or any RPG beyond the Apshai games, which weren’t exactly deep (I don’t recognize every title on this list so there may be an RPG I am missing). Although I expect the reason we don’t see some of them (e.g. Phantasie) is the reason we’ve never seen them on GOG. Rights limbo, indifferent holder, etc. Has anyone here been enjoying the c64 mini? I saw it’s 50% off in Canada this weekend (Walmart), tempted to grab one. 25% off at that amazon link above. If the keyboard is non-functional, wouldn’t that limit the number of games you can play? Also, the 8-bit Guy showed how there is a lot of input lag. We can connect a USB keyboard. Flash drive too for more games. It doesn’t support multiple disks though, so some of my favorites are a no go. Picked one up. I can post my thoughts after awhile if anyone is interested. Didn’t recognize the joystick at all. The C64 we bought in Canada in 198# had one of those “Wico Bat” things instead. I’d love to hear your thoughts on it @Gigglemoo. The Amazon ad says “Pixel Perfect Display”. What does this mean exactly? No blurring on modern TVs?
. I can post my thoughts after awhile if anyone is interested. Some interesting points in the video. If you like laggy emulators, then you’ll like the C64 Mini. Apologies for taking so long to come back here. I haven’t had a chance to use it much, as I didn’t have a USB hub until a few days ago. Surprisingly none of the local stores sell those. I’ll be back with another post after replaying a few of my favorites with the keyboard, joystick & USB drive in the near future. I’m not a big fan of the joystick. The extra buttons were very useful, and can be mapped for different keys on each game. It felt a little clunkier to use, and led to more than a few unintentional deaths in the Jumpmans. This could be my memory playing tricks on me though. I’m probably remembering c64 joysticks working better than they did. Multi-disc games now work on the USB drives with a little folder trick. Seeing the mini in my display brings back good memories. My dad (in his 70s) was interested in trying this out too. He basically only plays mahjongg, solitaire & facebook slots. I don’t remember him using our C64 much, but it was nice to see him enjoying more games. I think it’s decent enough for the sale price if you plan on expanding the game collection, and I liked supporting one of these weird products that have almost no market. I wish the tiny keyboard was functional though… would’ve happily paid more for a version with one and a third usb slot. I have a few of these mini retro machines and this is one of the only two I’ll keep. OTOH if you’re not interested in the mini itself & joystick it seems easy to skip. I’m not familiar with C64 PC emulation, but if it’s good you might be better off just doing that with a 360 controller or something. Too bad they didn’t bring back the Epyx 500XJ Joystick. That was my favorite on the c64. Didn’t know about this. Agreed on the selection of games being pretty bad. Doesn’t bode well for a mini Atari 800, which would have pretty much the same game options. If memory serves, Temple of Apshai required that you own a booklet that had the room descriptions in it, containing all the usual dungeoneering clues for DM would give you. Is that just ignored here? What a drag. For me, the point of machines like this is the controllers. Games written for the Atari consoles, Atari 8-bit computers, and the C64 were written with the Atari joysticks and paddles in mind. I do have a a cable that converts Atari controllers to USB for use with a PC emulator, but I’ve never used it and don’t even know if it works (because I have a 7800 and plenty of good controllers).